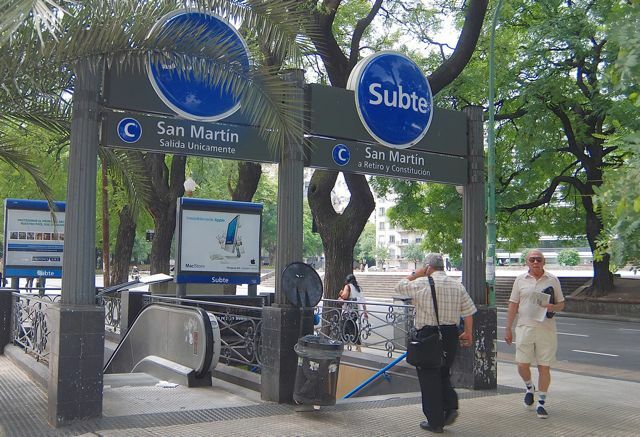 Southern Cone Travel: Buenos Aires Subte Subsidies to End? Argentina’s Peronist government of President Cristina Fernández and the conservative administration of Buenos Aires mayor Mauricio Macri rarely agree on anything. 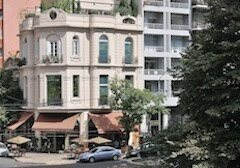 Since Cristina’s recent re-election, though, they have decided to work together on at least one topic – the transfer of responsibility for the Subte from the national government to the city. 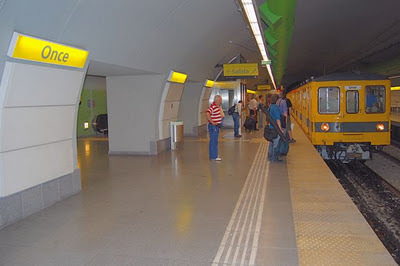 As I detailed in an earlier comparative article, Buenos Aires’s underground railway is one of the world’s oldest and still functions well, but its sluggish expansion has caused to it fall far behind Santiago de Chile’s sleek Metro system, in both quality and extent of service. 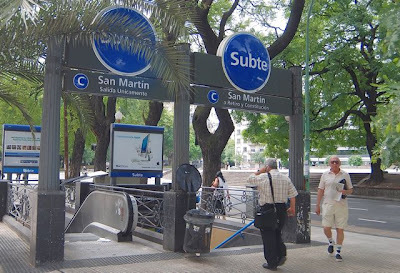 Buenos Aires, though, has a distinct advantage in terms of price – a single-ride ticket for the Subte costs 1.10 pesos (about 26 US cents), while the Metro fares range from 520 to 630 pesos (about US$1.10 to US$1.35), depending on the hour. That’s because, until now, the Argentine federal government has paid enormous subsidies, presently amounting to 70 million pesos (about US$16.5 million) monthly, to Metrovías, the private company that has operated the Subte since 1994. With the transfer, that subsidy may disappear and, if it disappears completely, city residents could see the cost of their commute and shopping trips triple to 3.30 pesos or even a bit more. According to the Buenos Aires daily La Nación, when Metrovías assumed control of the Subte, fares were then 70 centavos, with the peso at par with the dollar. Since then, fares have increased by 57 percent in peso terms, but have actually fallen by 63 percent in dollar terms, at the same time that the number of Metrovías employees has nearly doubled - even as the system continues to underserve poorer neighborhoods in the south and west of the city. According to La Nación, the federal government “gave up any plan of investing in the network some time ago. They never undertook the modernization of the rolling stock, nor did they upgrade safety equipment. It will take US$1.3 billion to finish those infrastructural improvements…” In fact, when the mayor tried to attract private investment in the network some years ago, the federal government prohibited him from doing so. In that context, it looks as if the city may gain a nominal control over its public transportation system that may require it to sacrifice additional expansion simply to keep that system serving the privileged passengers, and employees, it already has.